Many people in Marburg are more familiar with the English language than with German. That’s why we celebrate a monthly English Worship Service, usually on the first Saturday of every month! We meet again Saturday, December 1st, at 6 p.m.
You are more than welcome to join us, no matter where you are from and whether you consider yourself a Christian or not! In every other service (Sundays 4 p.m.) we offer English translation. Read more about our English language ministry! 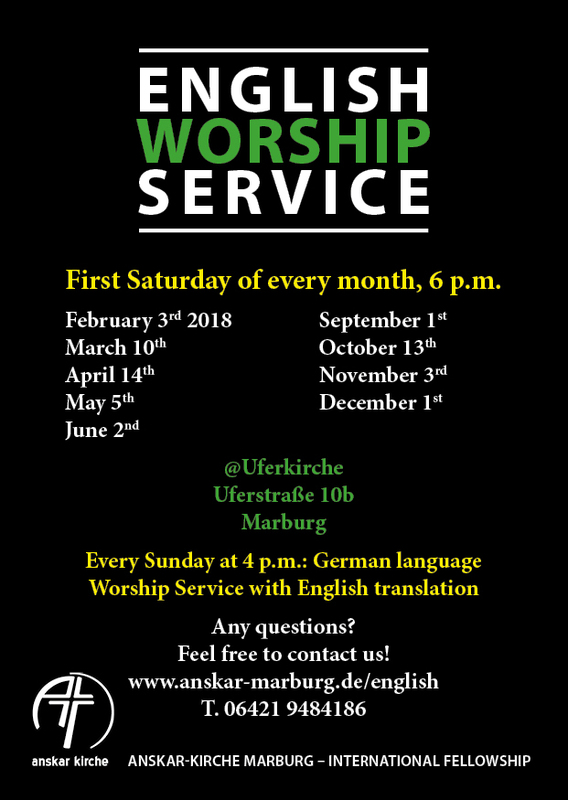 Herzliche Einladung zum Englischen Gottesdienst am Samstag, 1. Dezember, 18 Uhr.